MORE books at bedtime! MORE ice cream! MORE bubble bath! He wants to build BIGGER towers and BETTER fancy dress costumes. The indomitable Archie returns in his hilarious sequel to No! and Why? 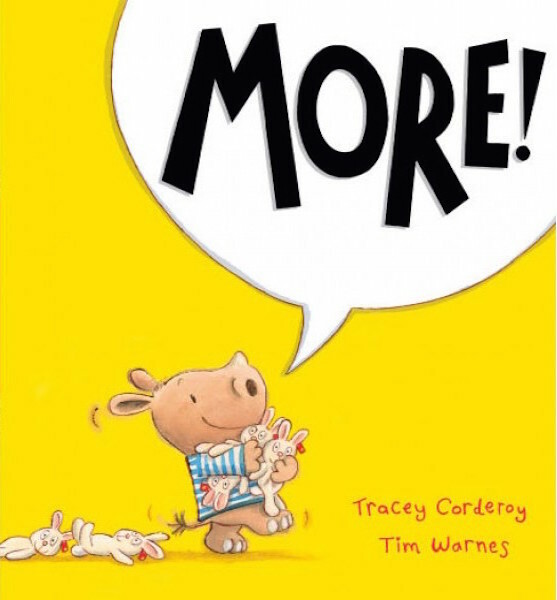 With acutely observed text from Tracey Corderoy (Shifty McGifty and Slippery Sam, Hubble Bubble, Granny Trouble) and laugh-out-loud illustrations from Tim Warnes (Dangerous! ), it’s set to become a bedtime favourite. The perfect tale for families with strong-willed toddlers who just want MORE!